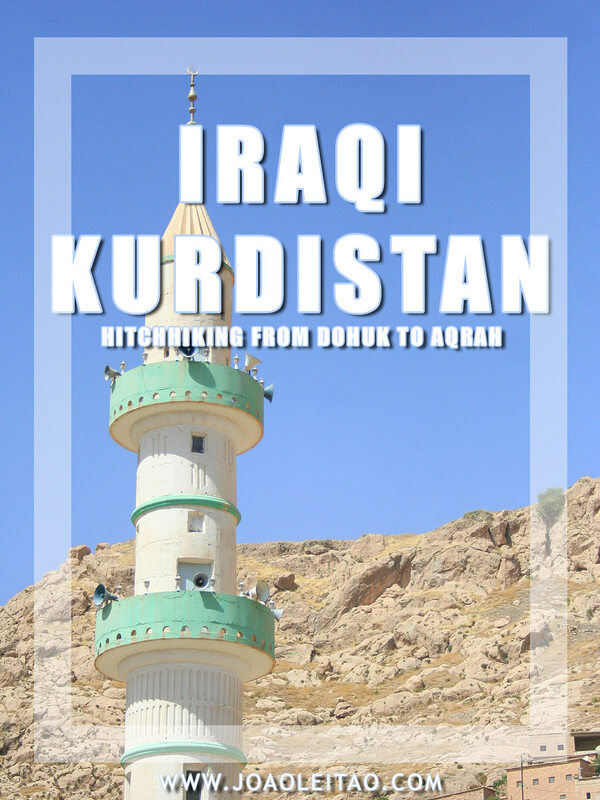 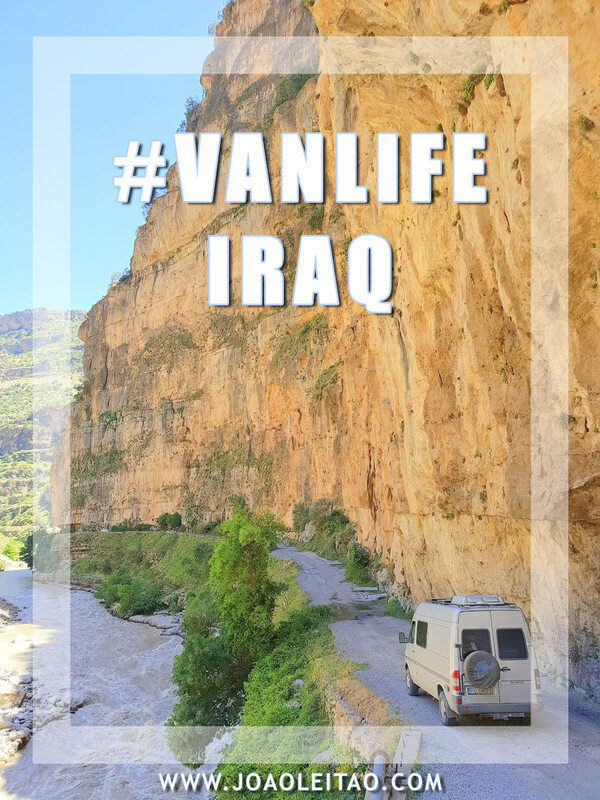 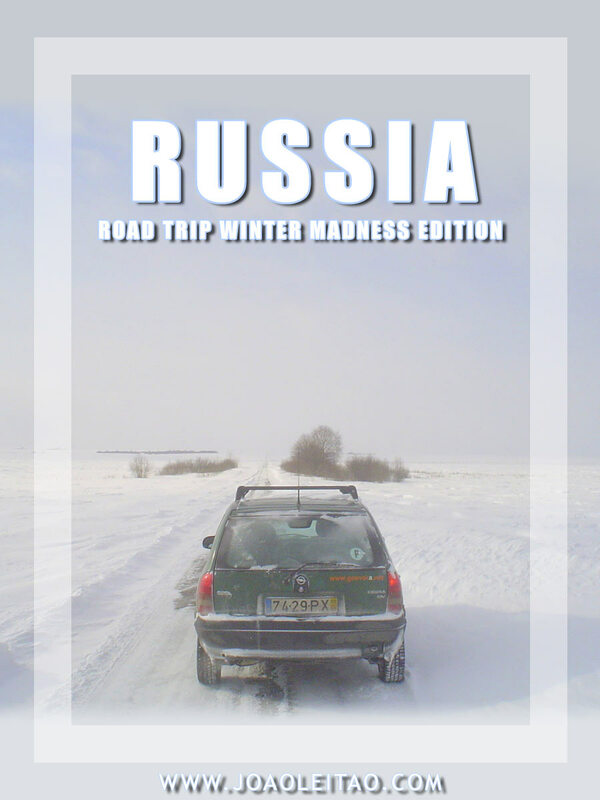 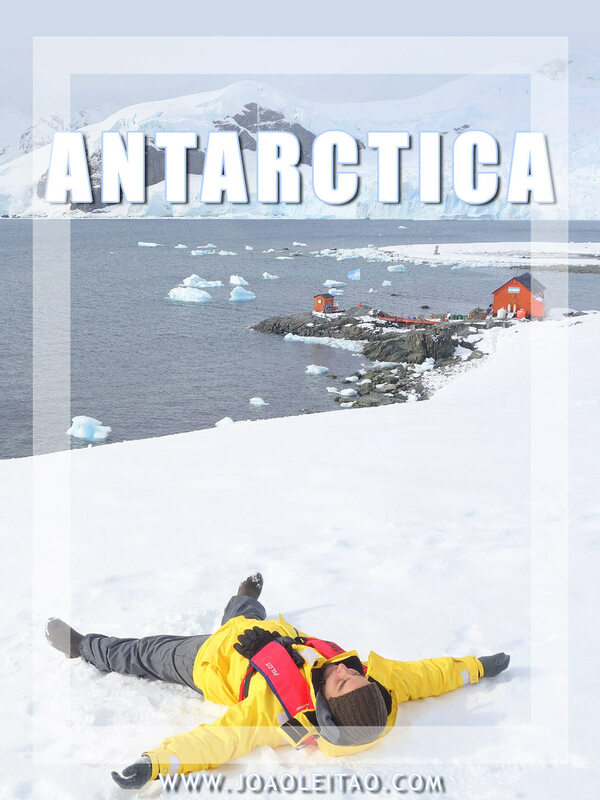 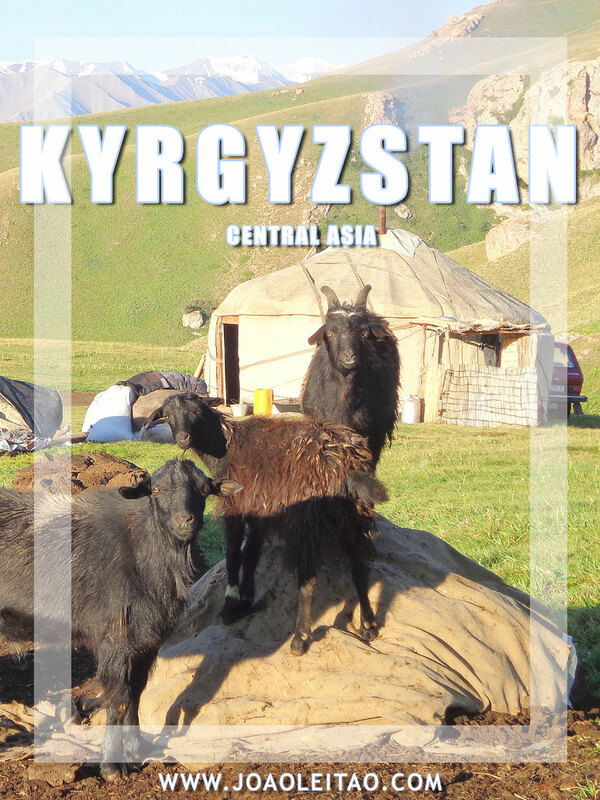 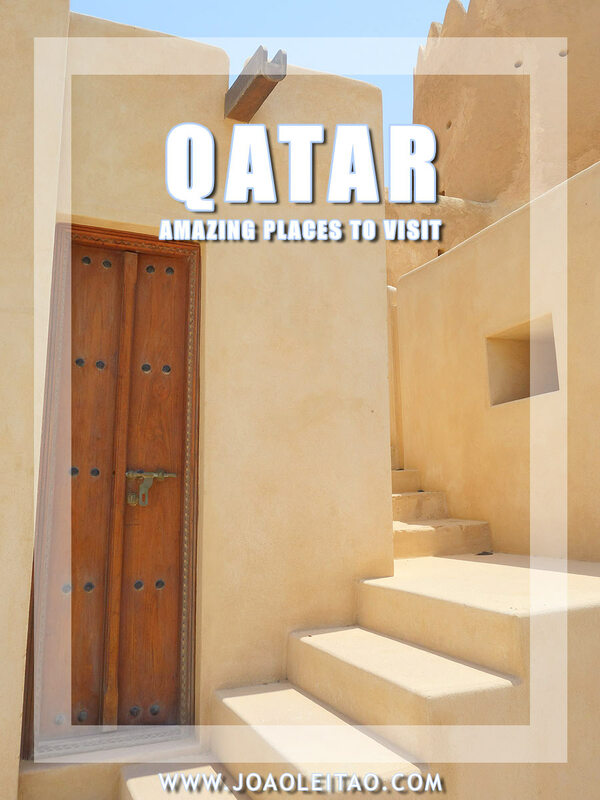 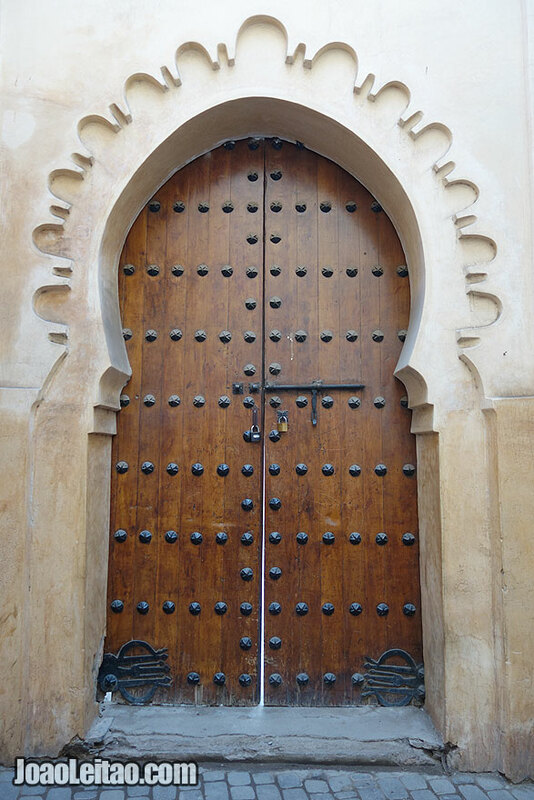 When I travel, I have particular interest in doors and windows. 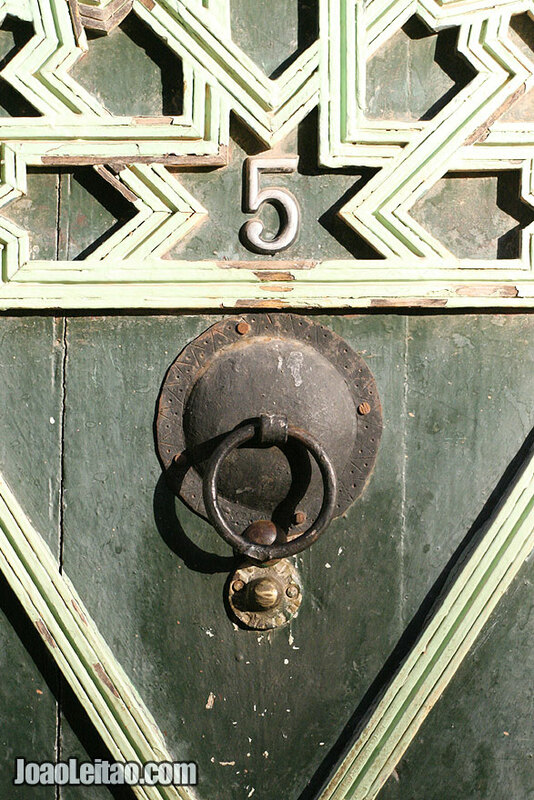 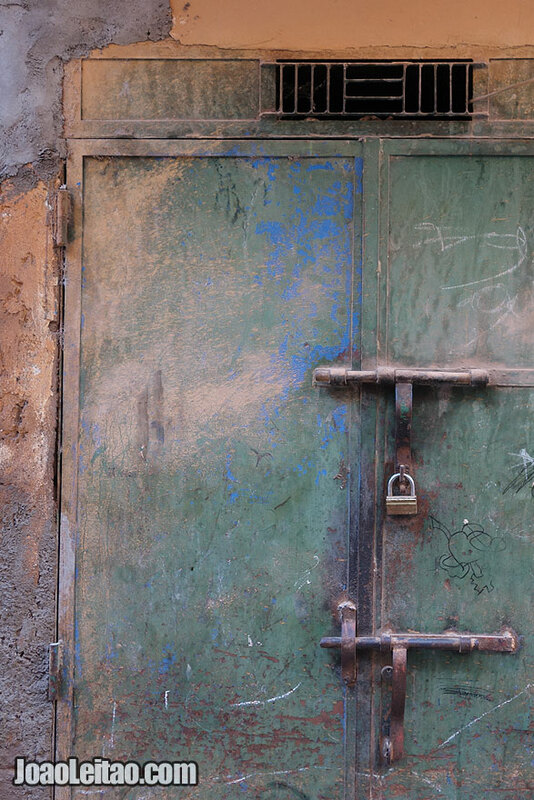 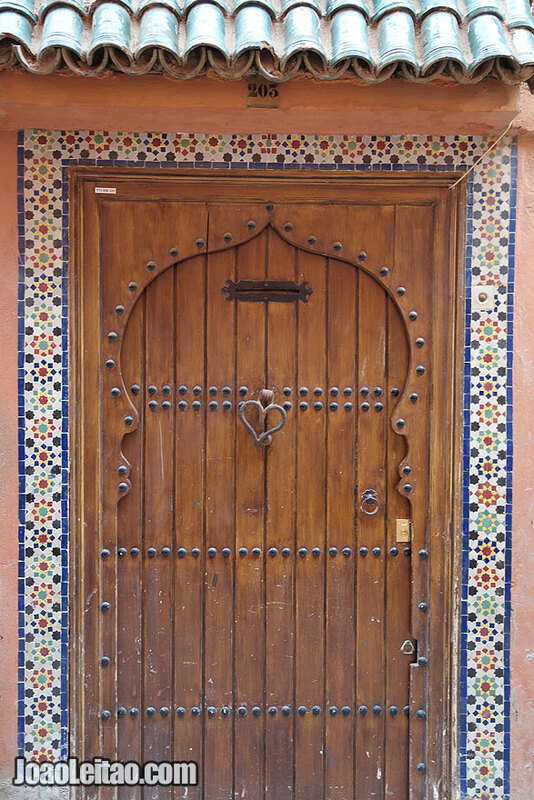 Doors reflect not only the personality of a city, but also the personality of its residents. 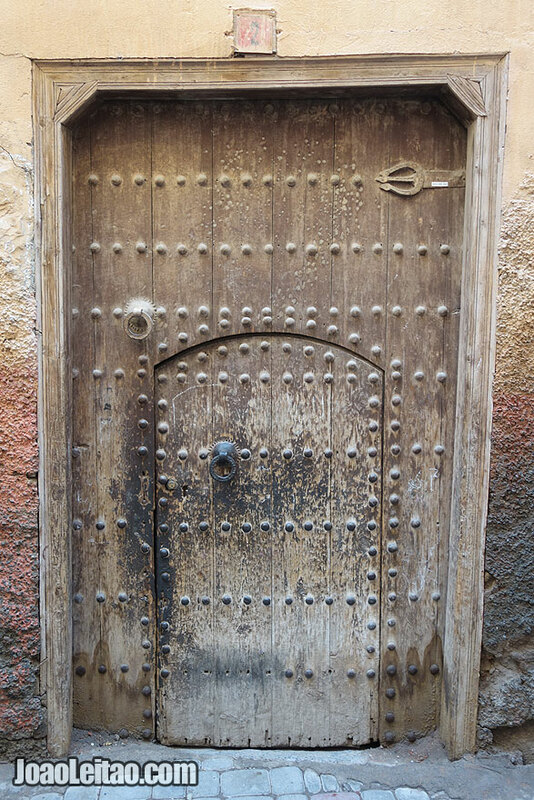 There’s not one door the same as the next. 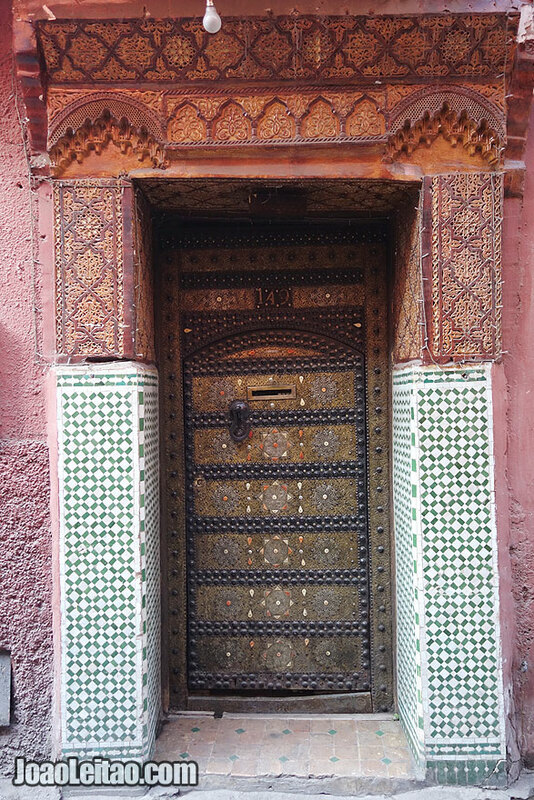 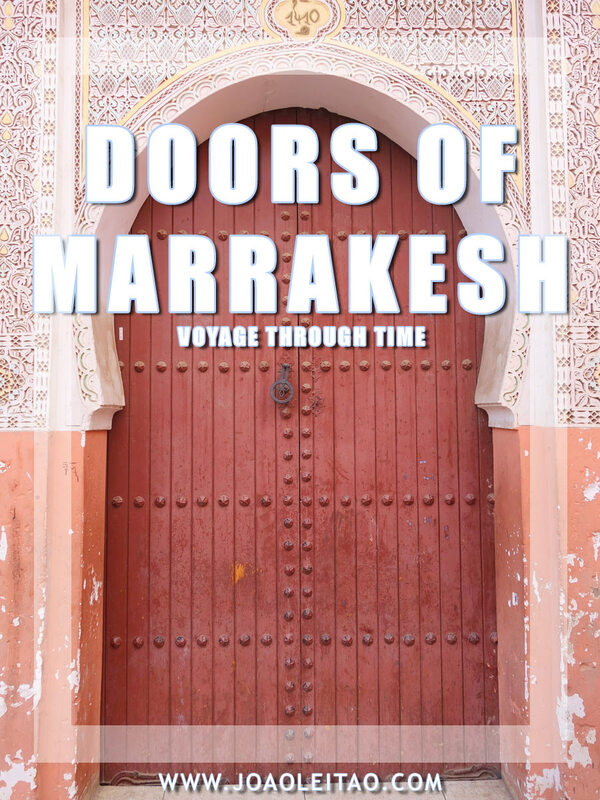 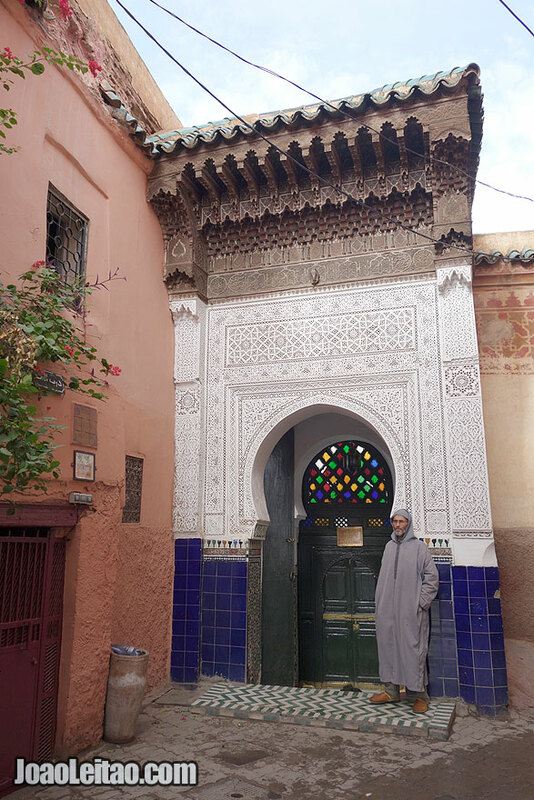 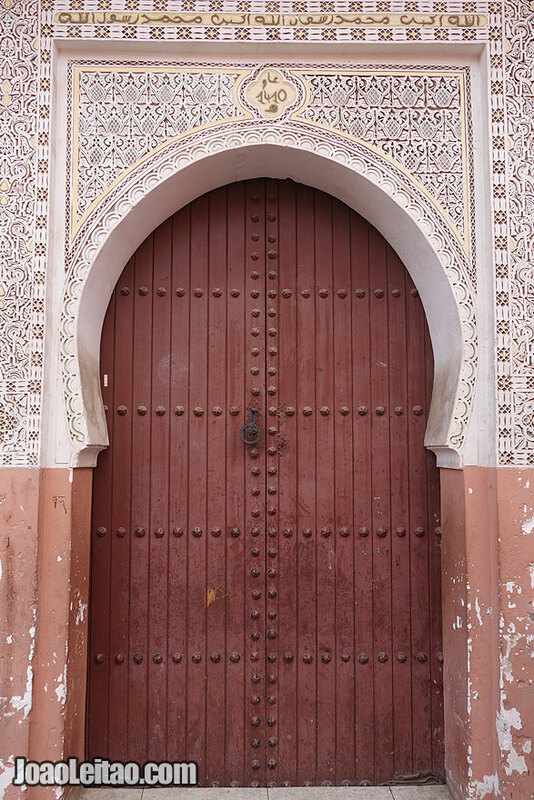 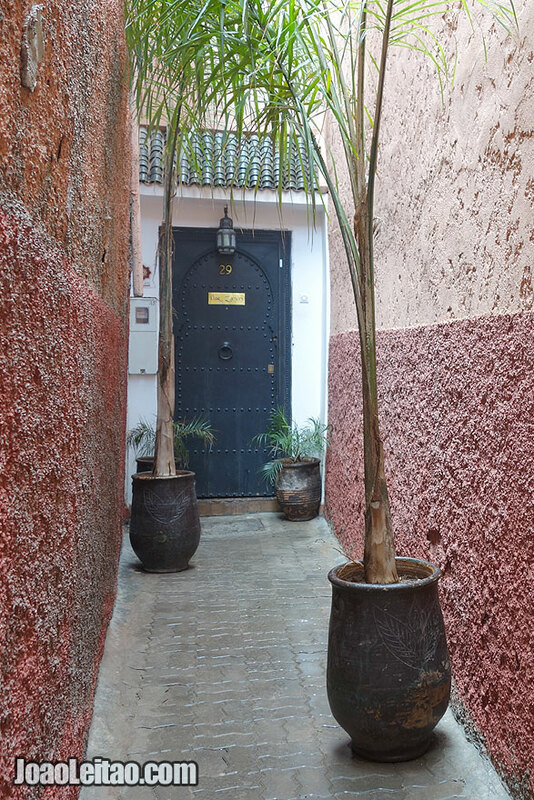 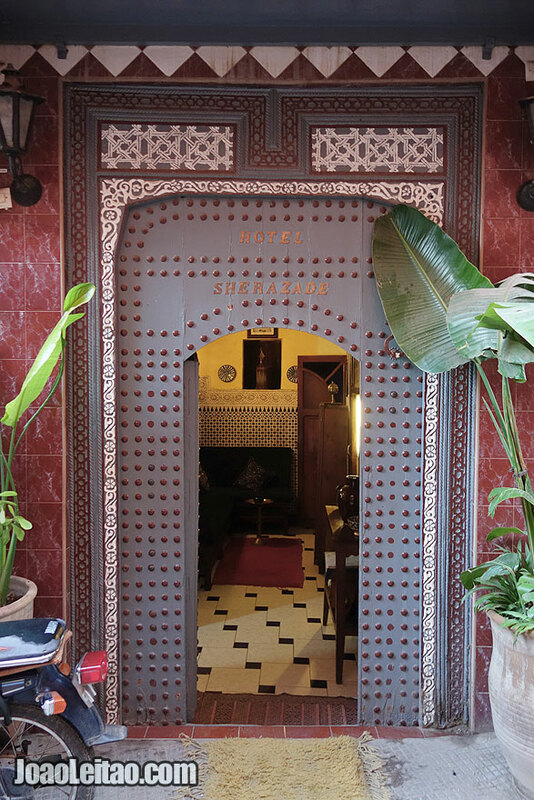 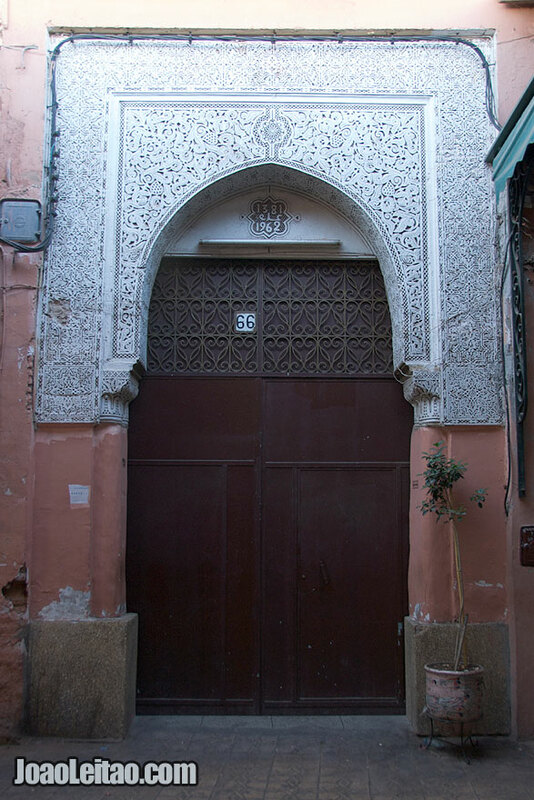 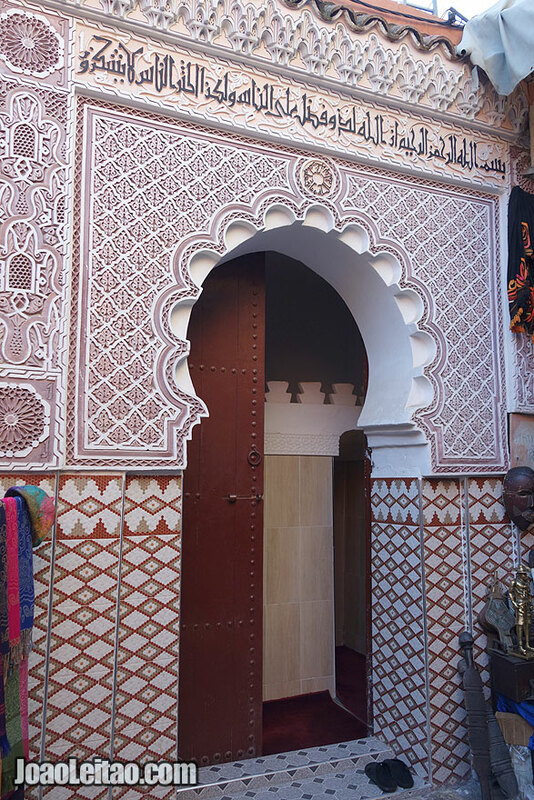 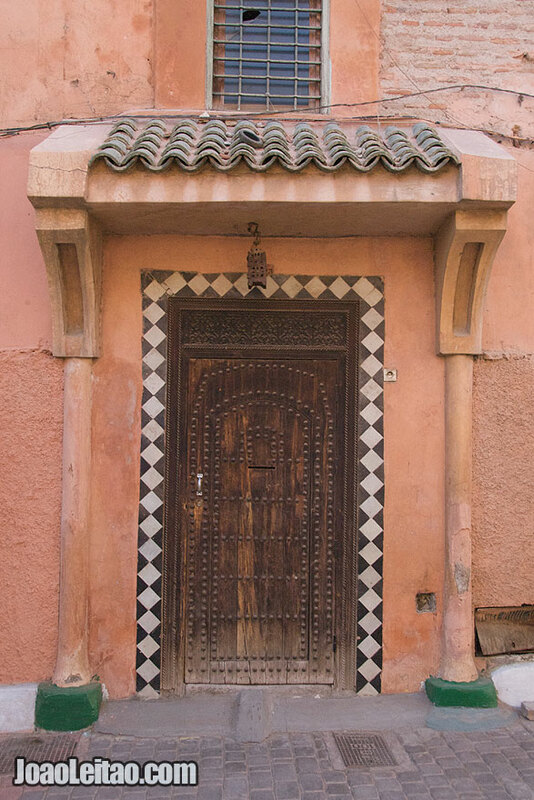 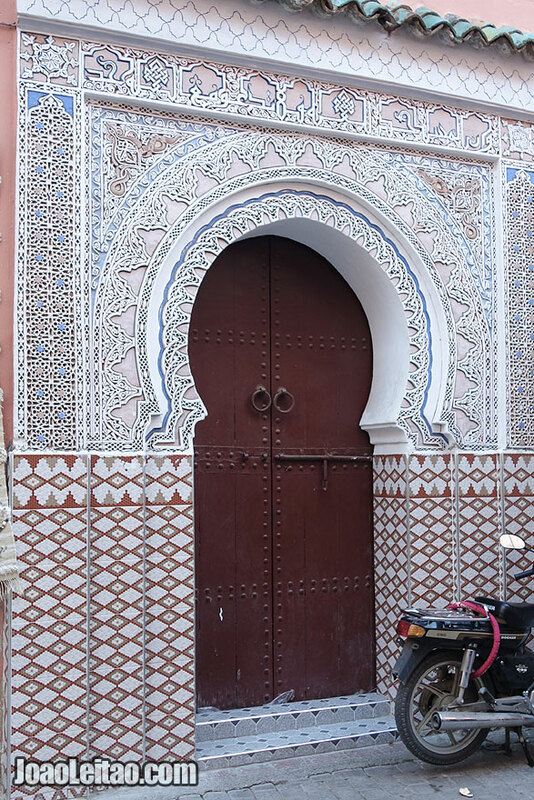 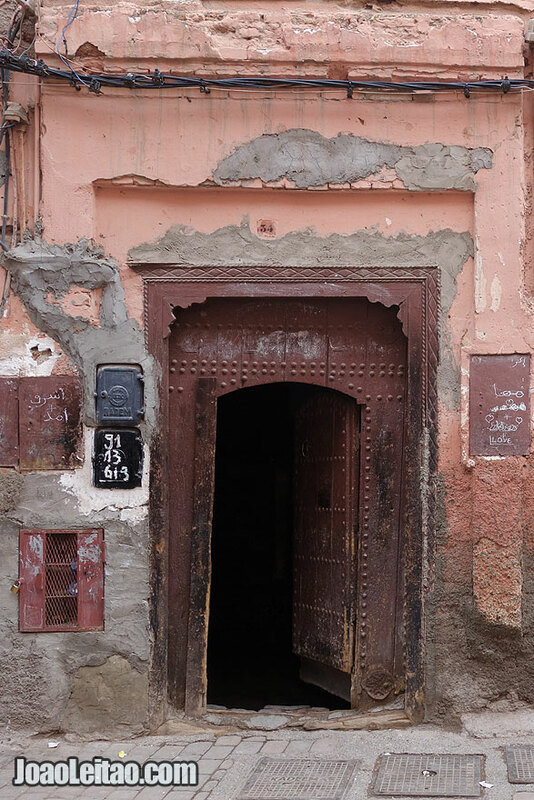 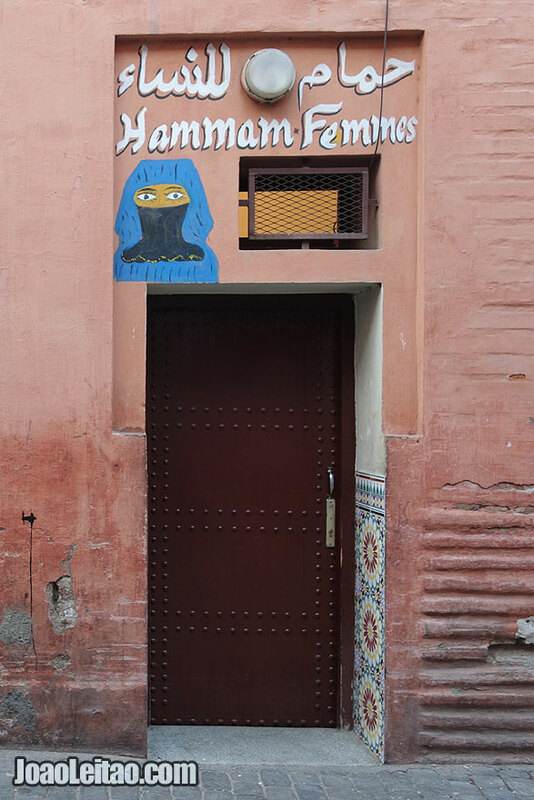 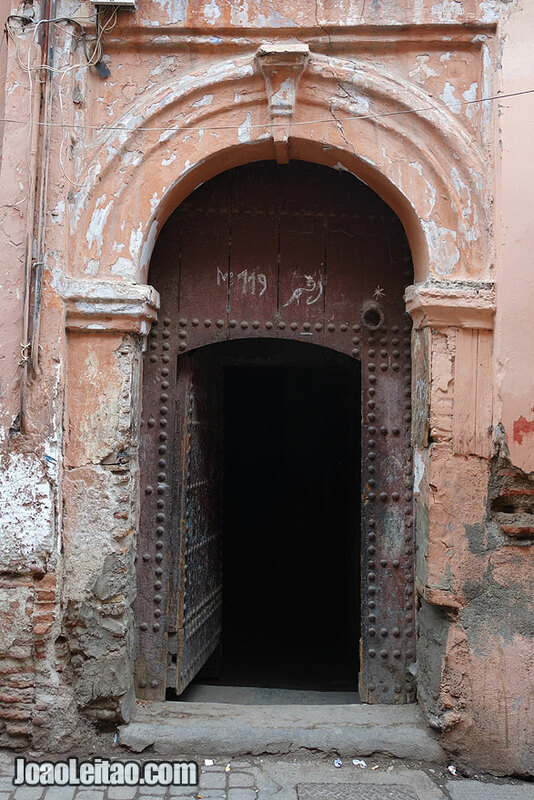 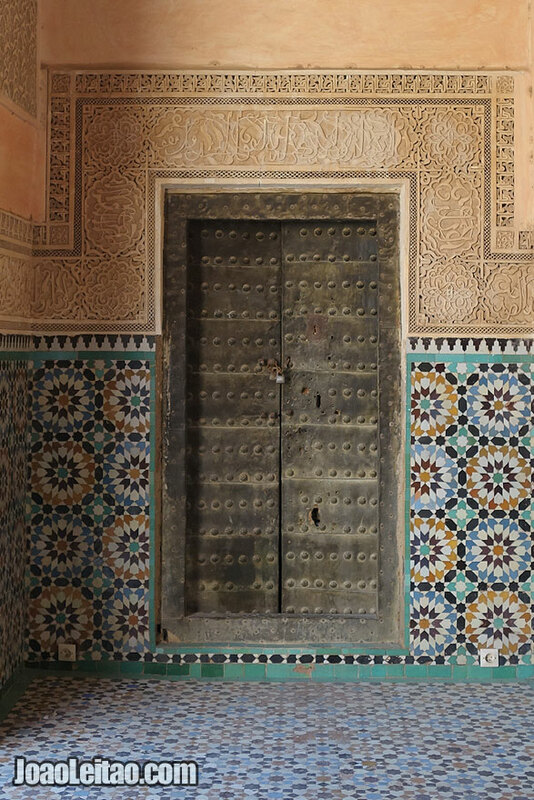 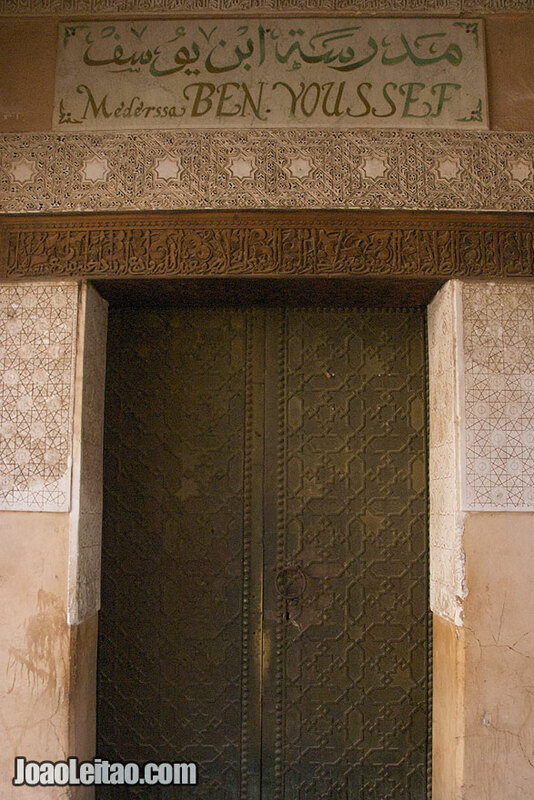 Marrakesh, seen through doors, takes us on a historical time journey since the city was built until modern days. 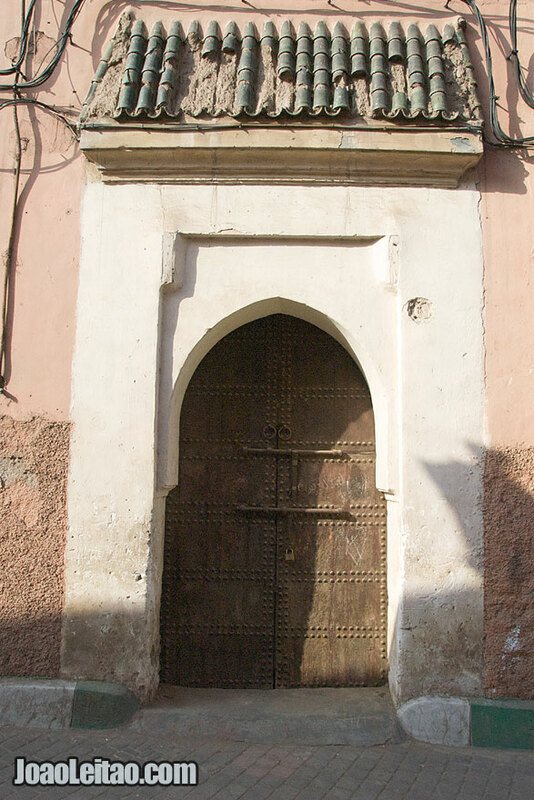 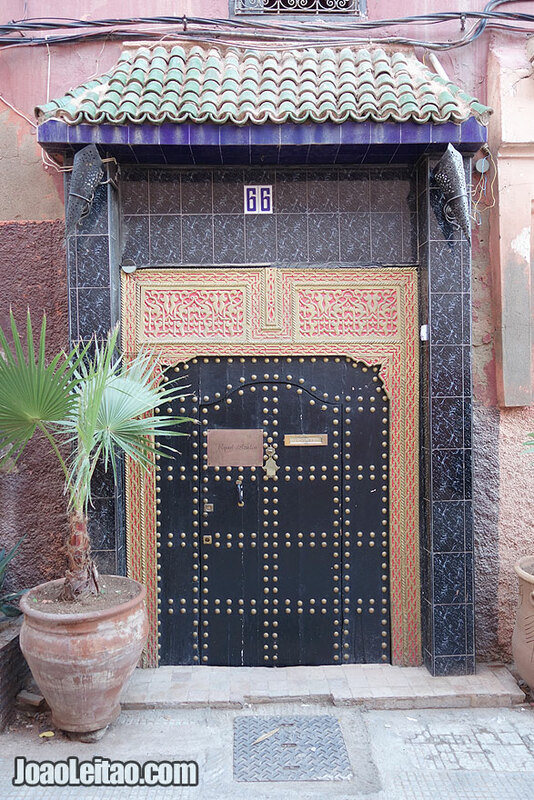 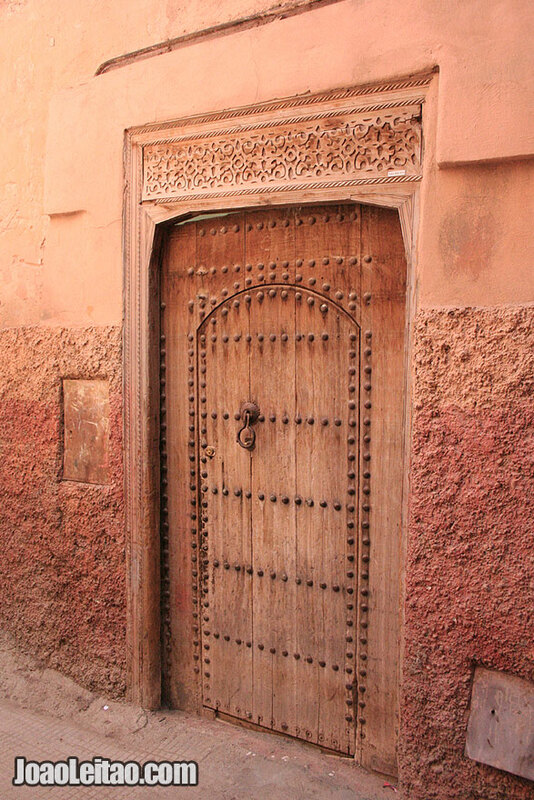 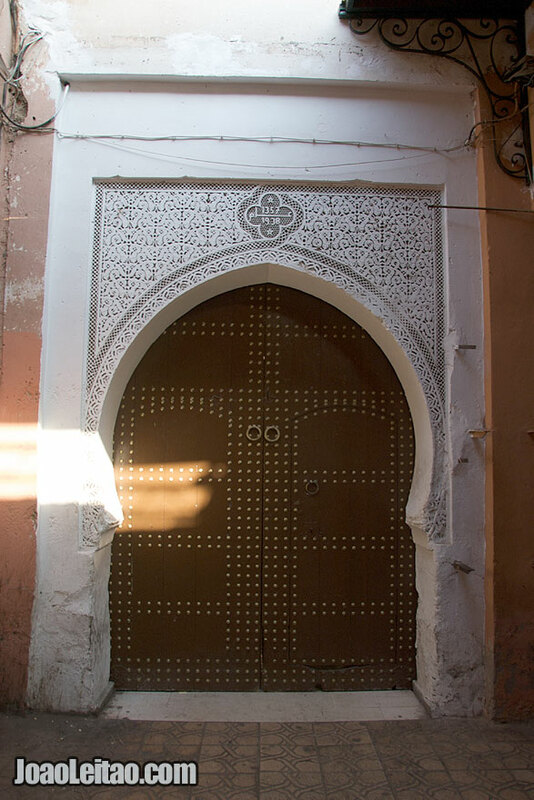 The old Medina of Marrakesh showcases amazing doors, giving its labyrinth alleys a unique charisma and charm. 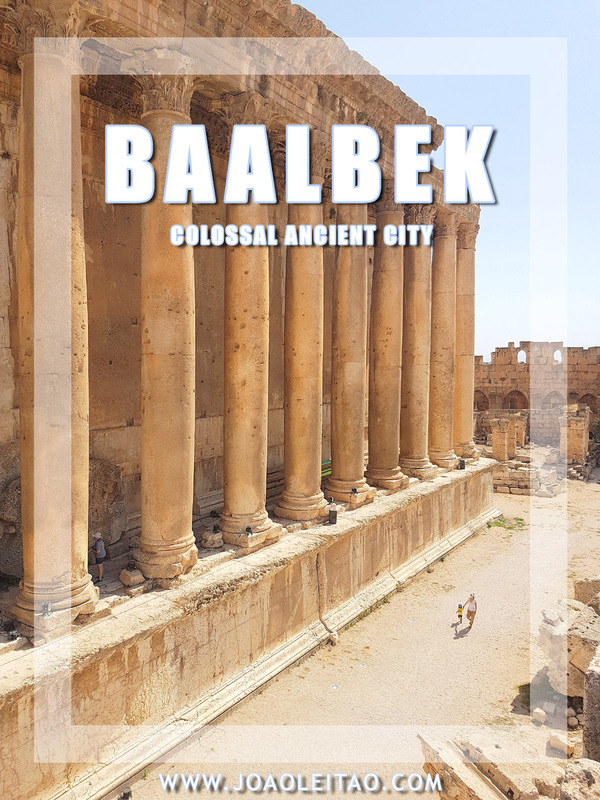 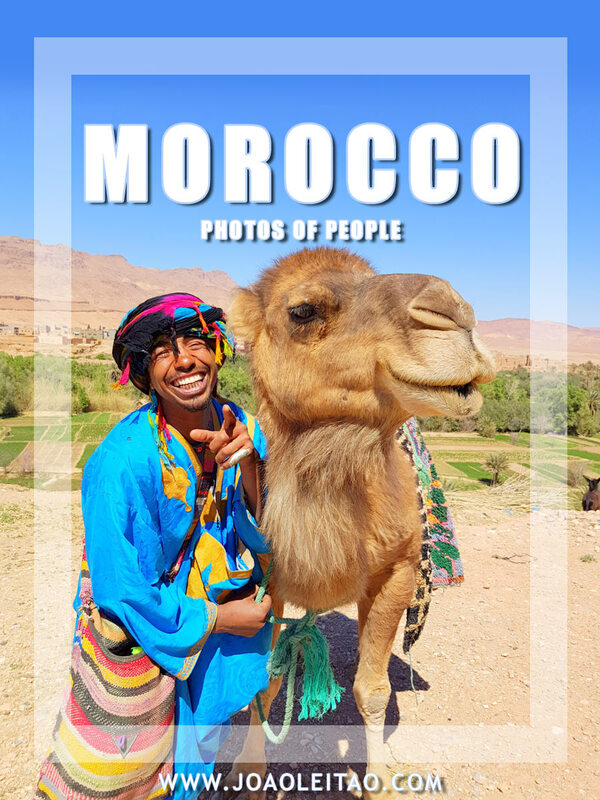 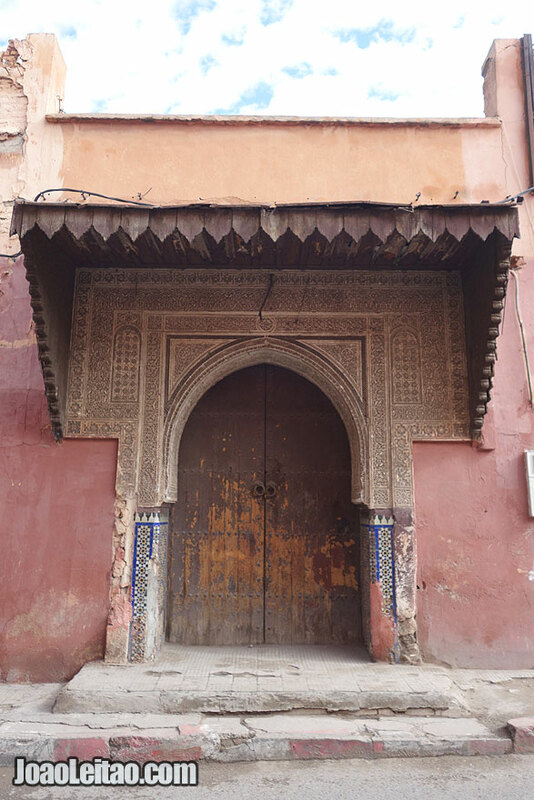 Founded back in 1071 by the Berber Almoravid sultan Youssef Ibn Tachfine, Marrakesh was the capital of Morocco during the 12th and 13th centuries. 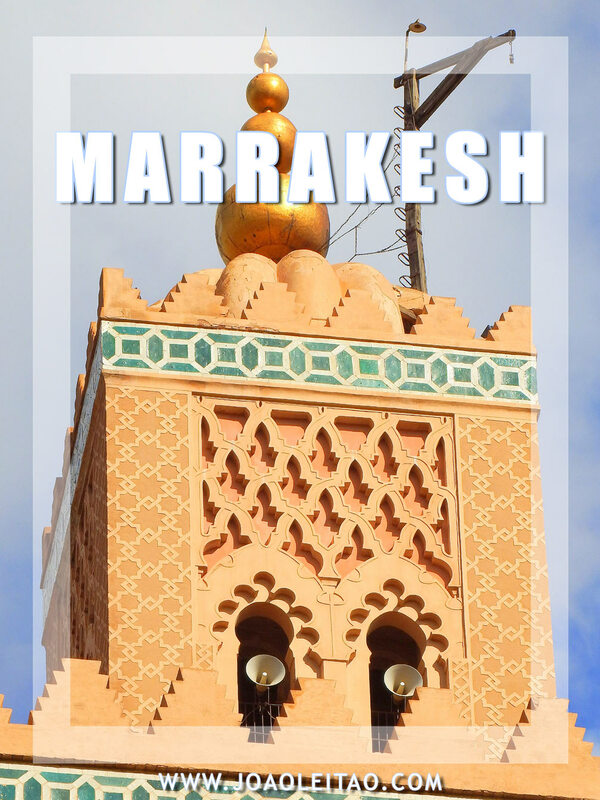 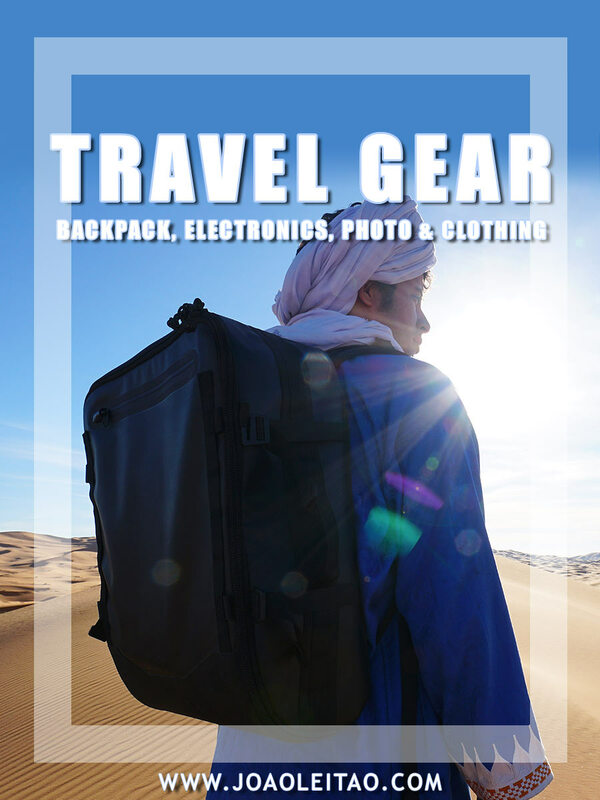 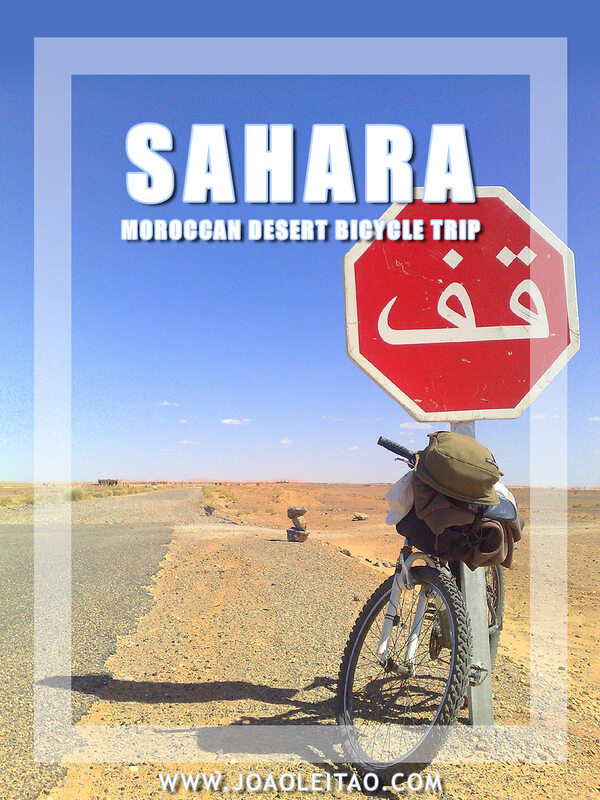 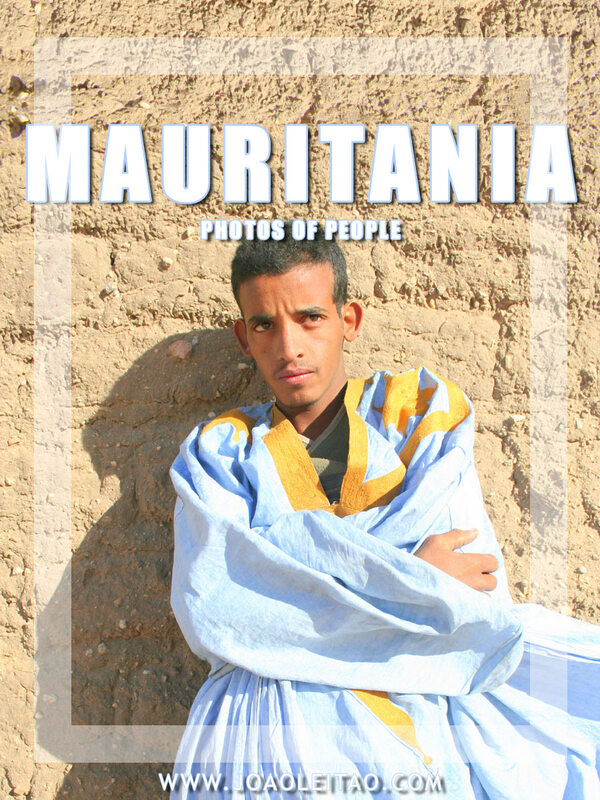 Marrakesh was, for a long time, a major political, economic and cultural center of the western Muslim world. 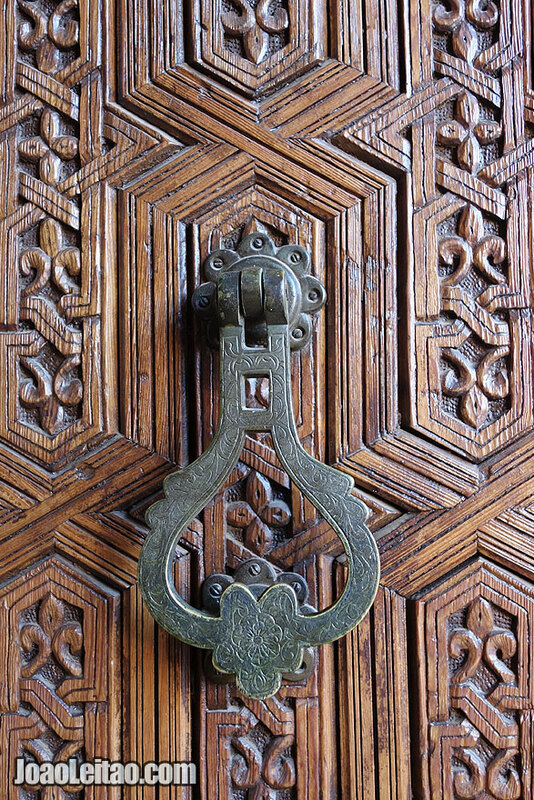 What exceptionally fascinates me about doors is that they are authentic works of art built both by man and time. 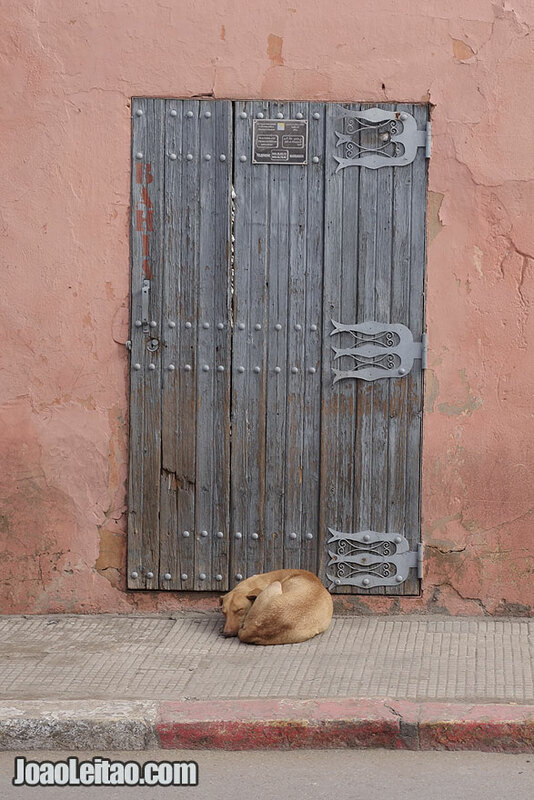 They just look like timeless canvases made up of rare textures and ephemeral colors. 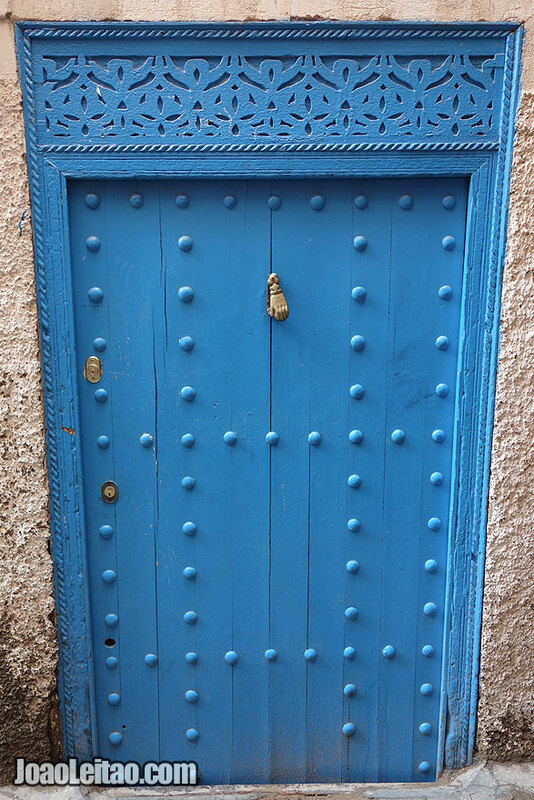 The permanent handling of doors makes them change color and shape. 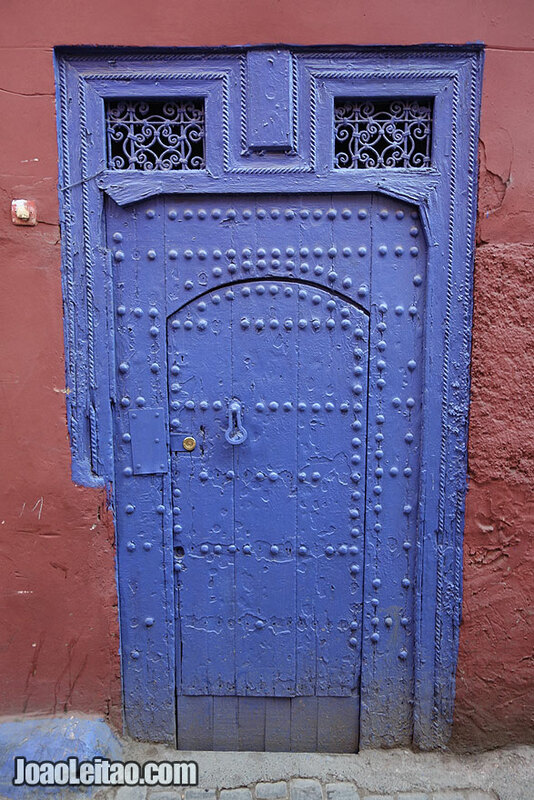 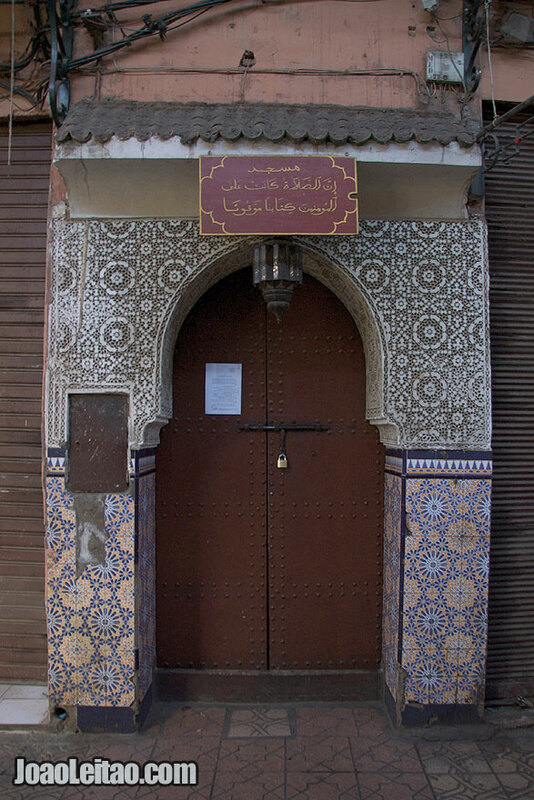 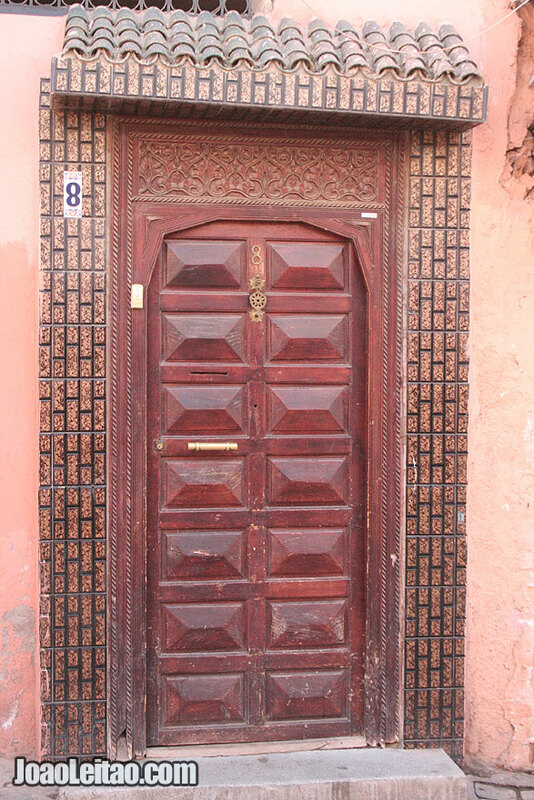 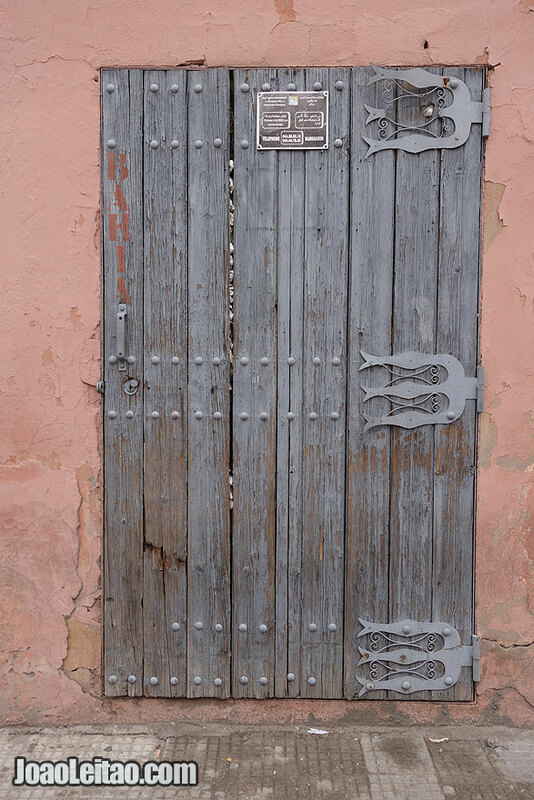 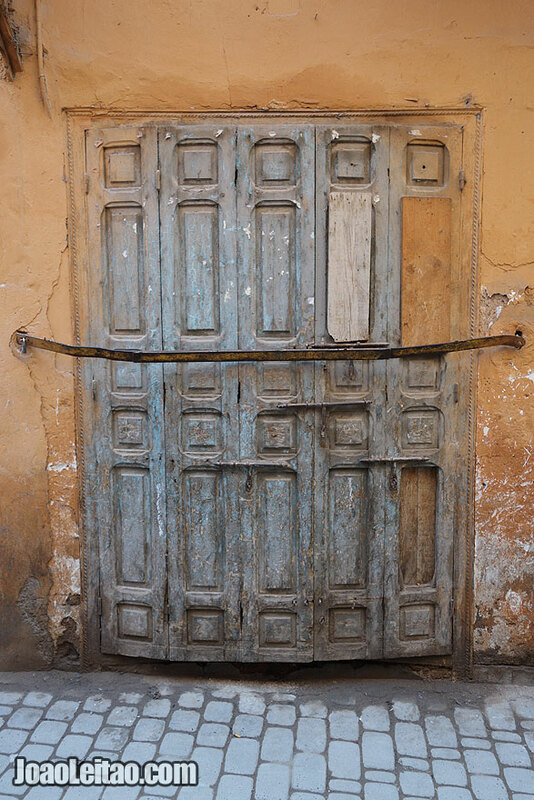 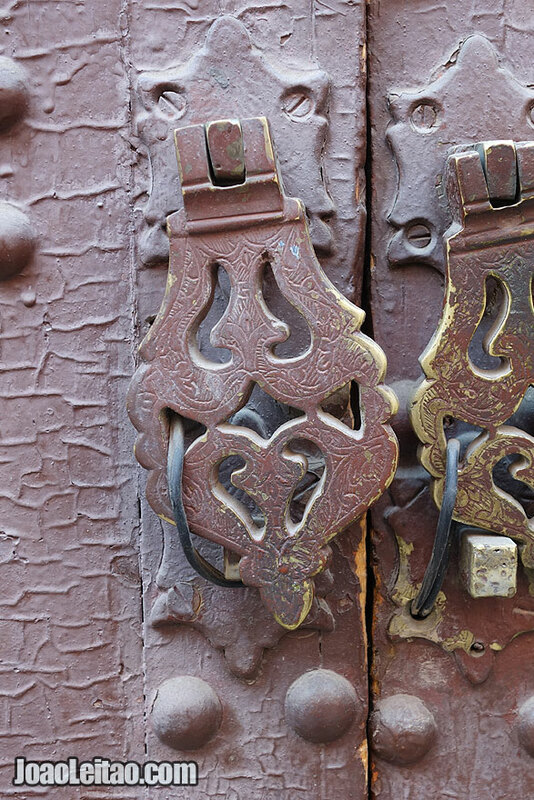 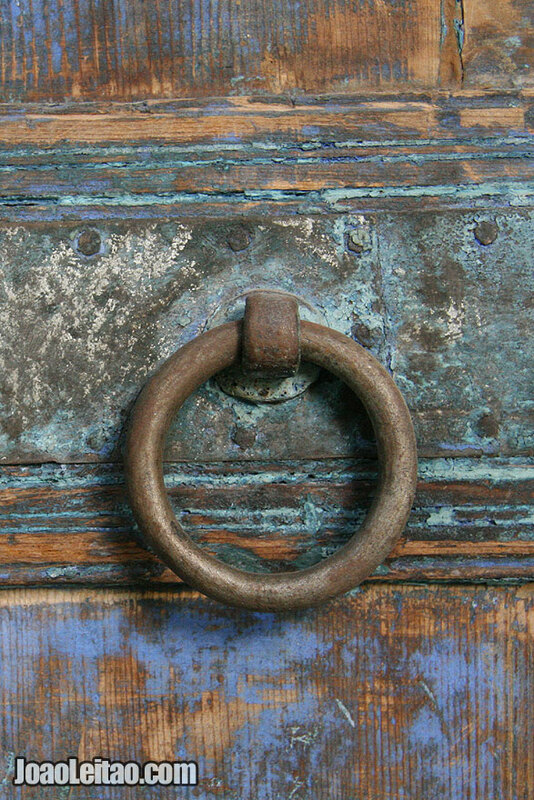 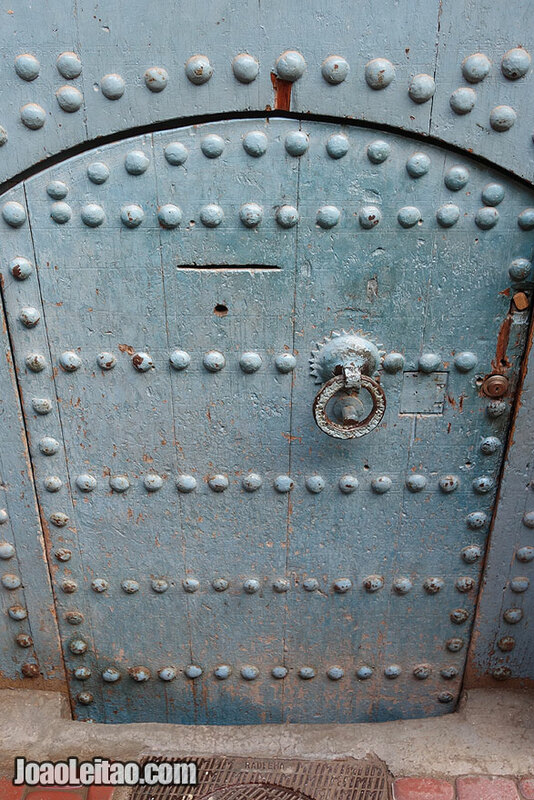 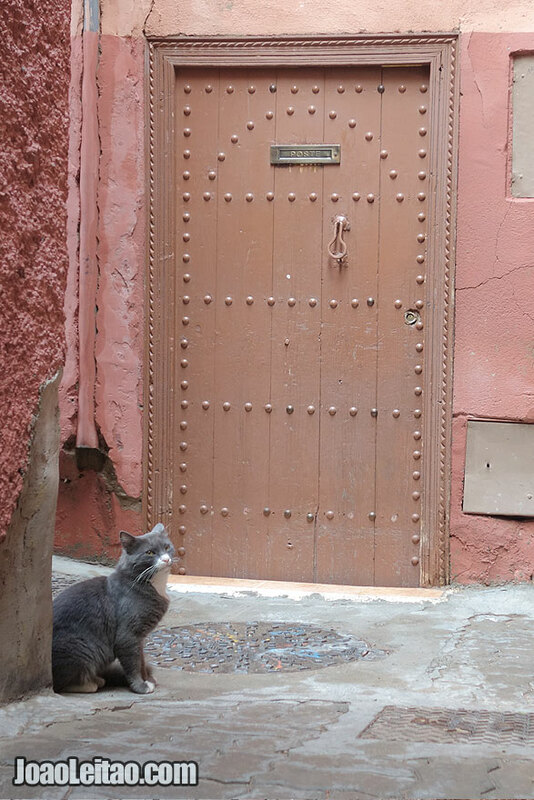 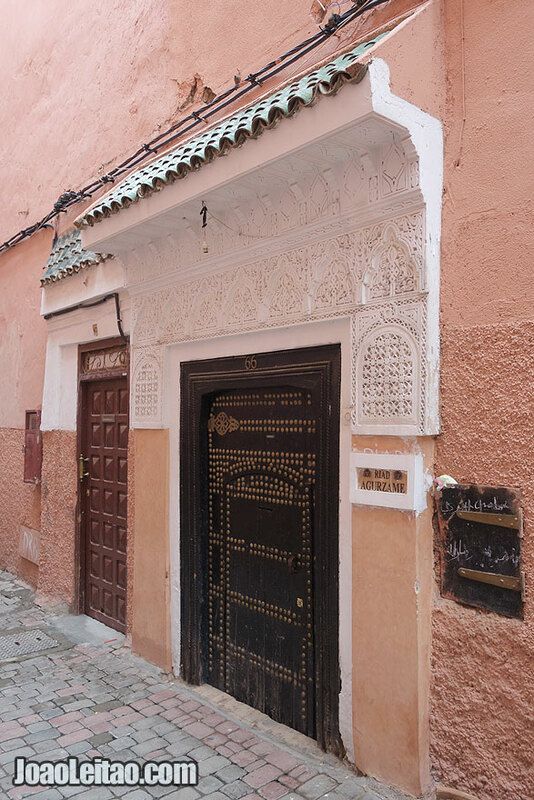 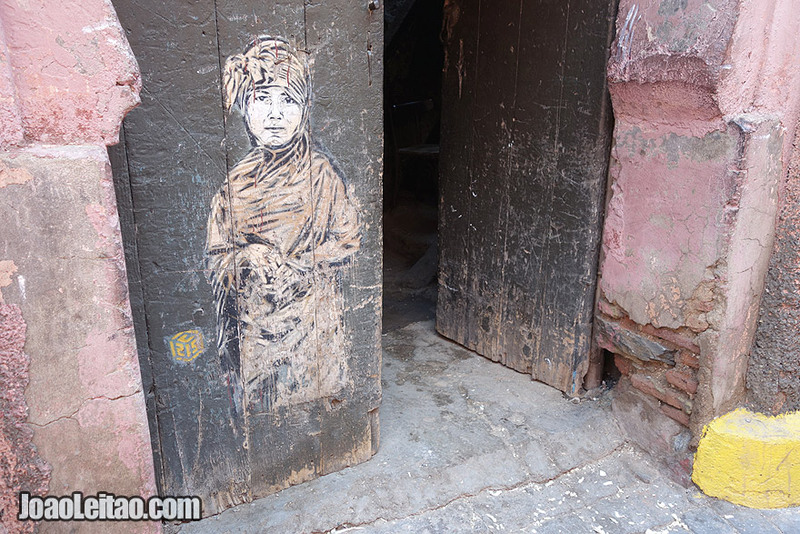 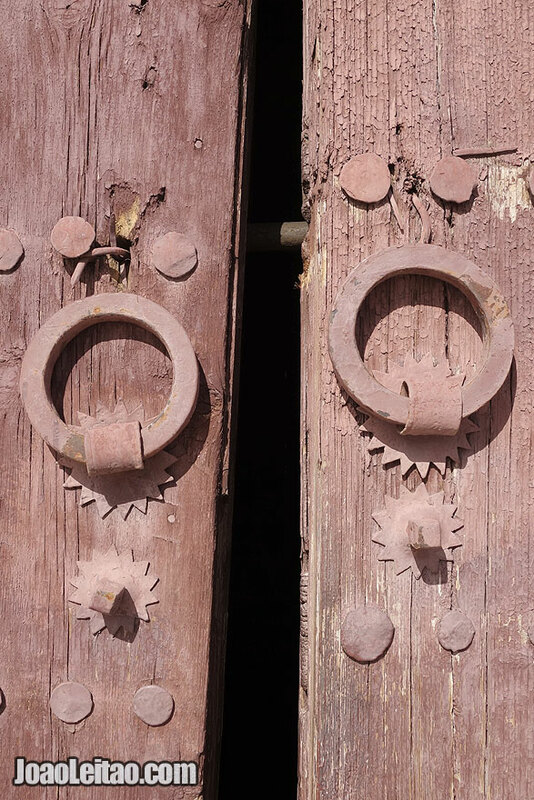 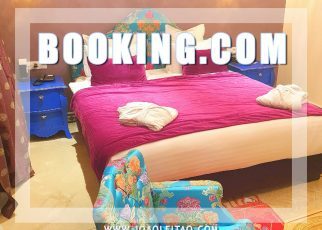 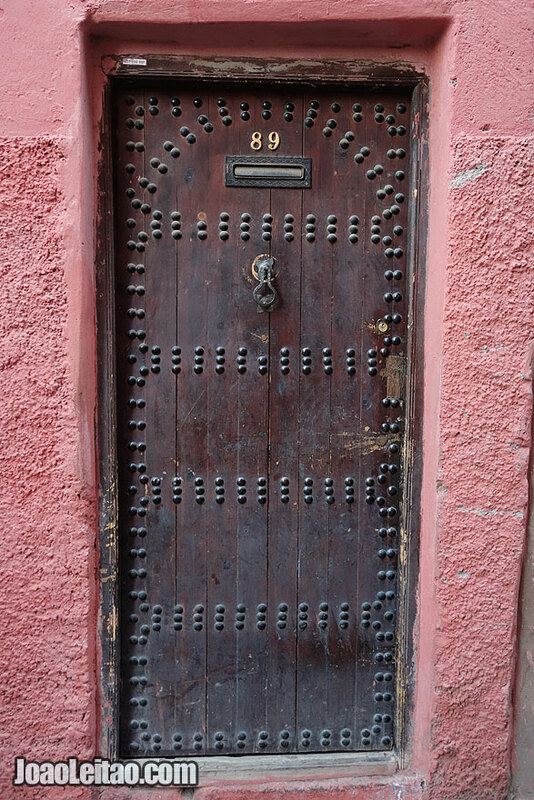 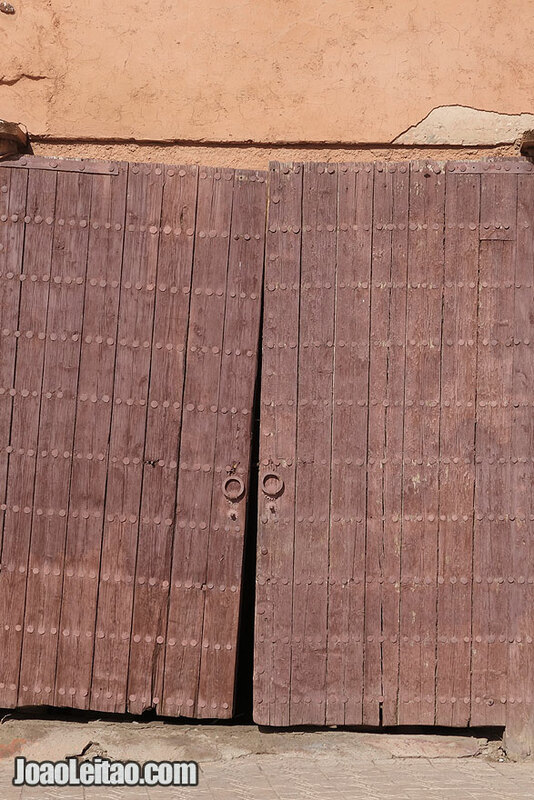 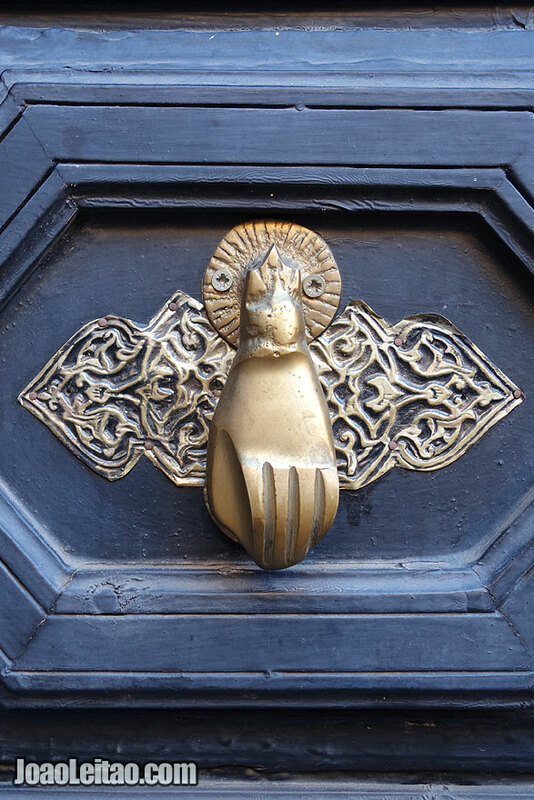 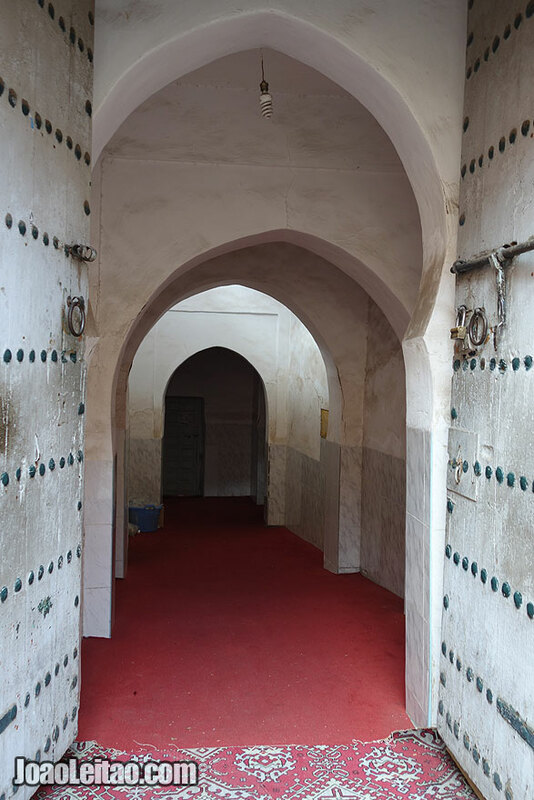 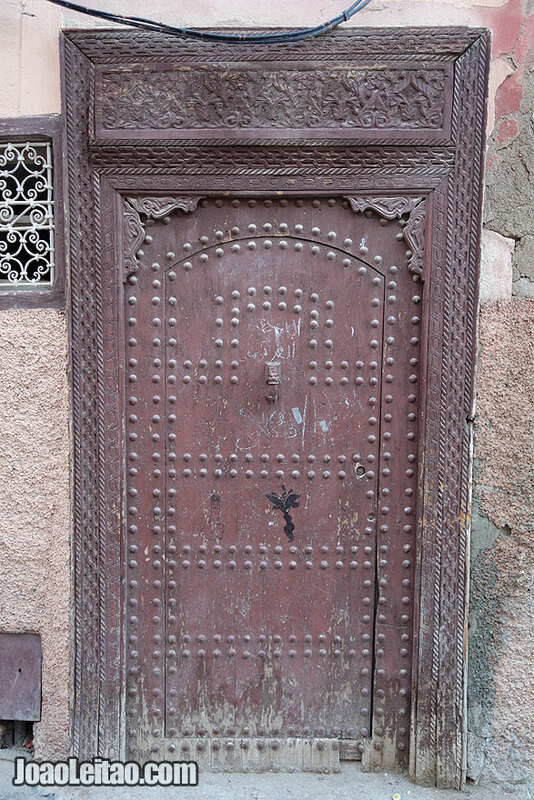 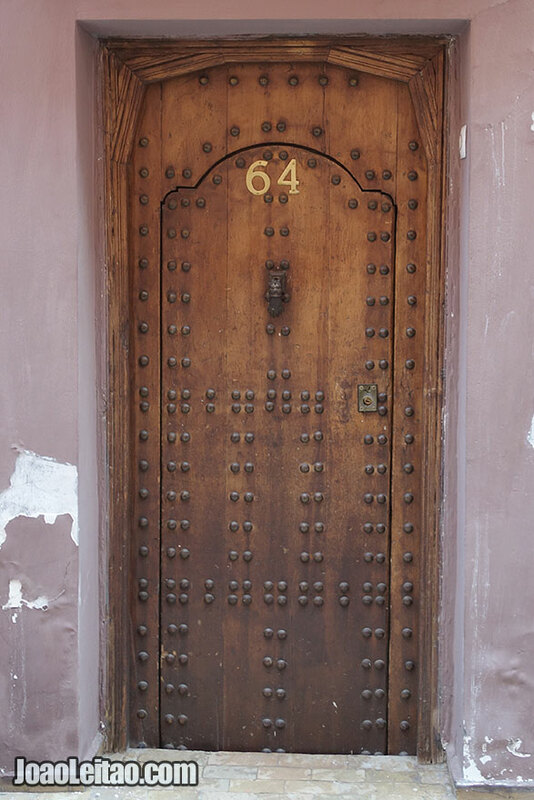 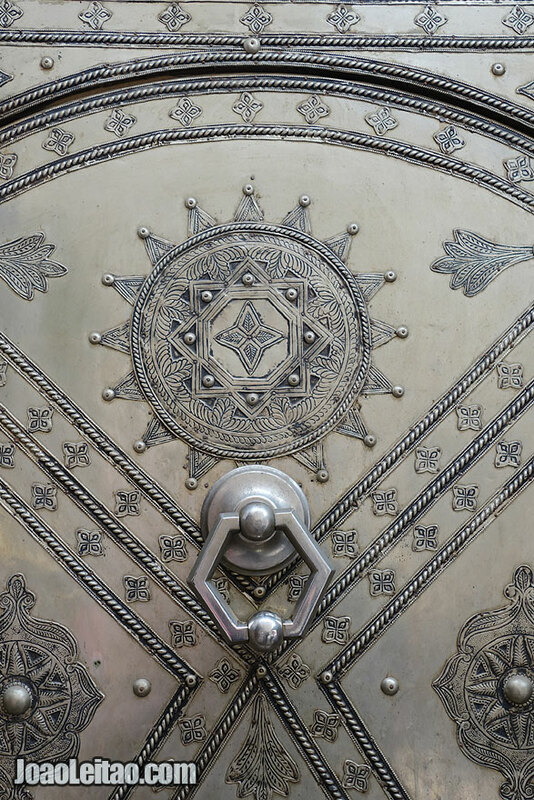 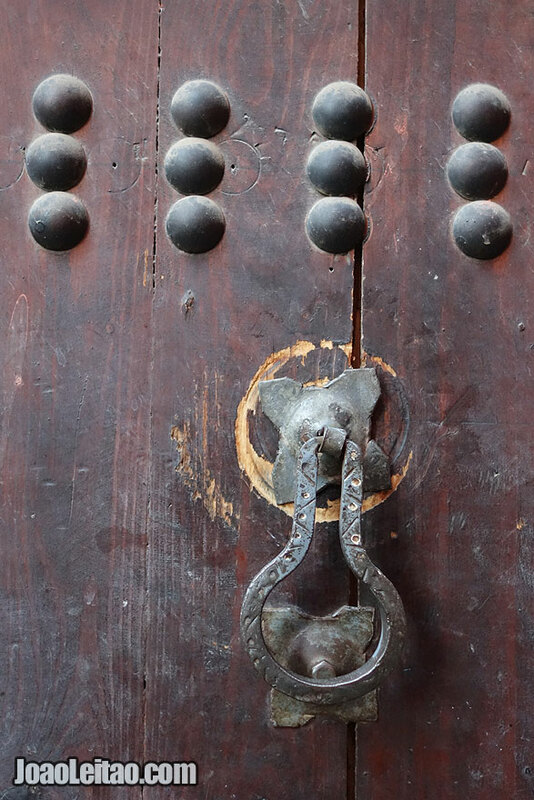 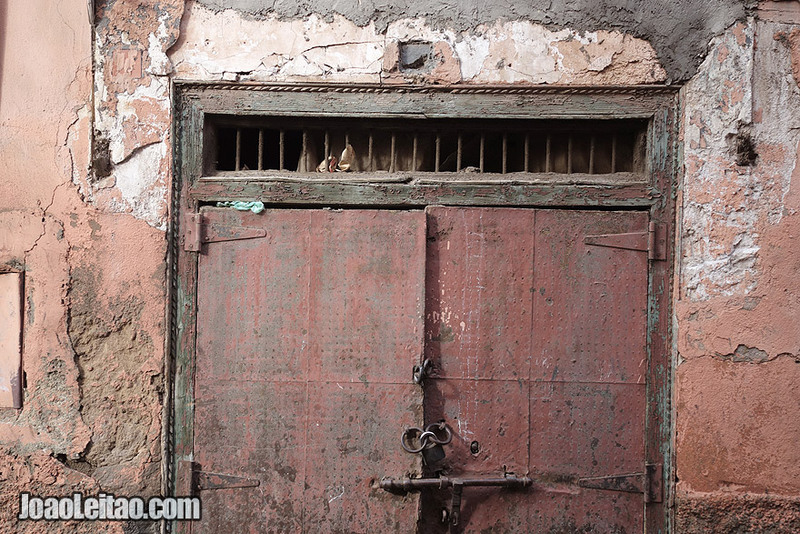 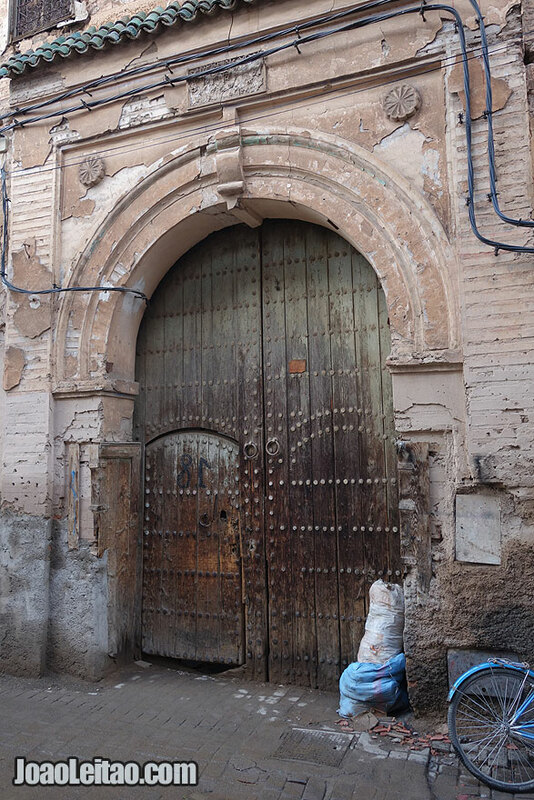 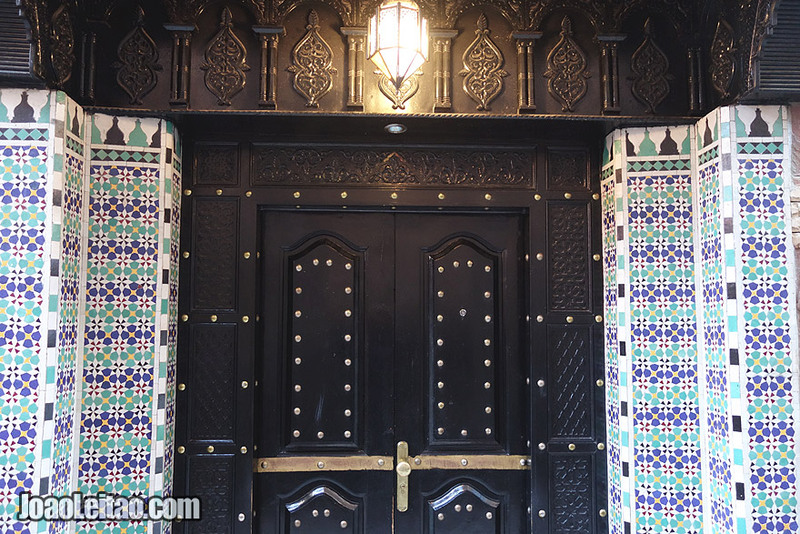 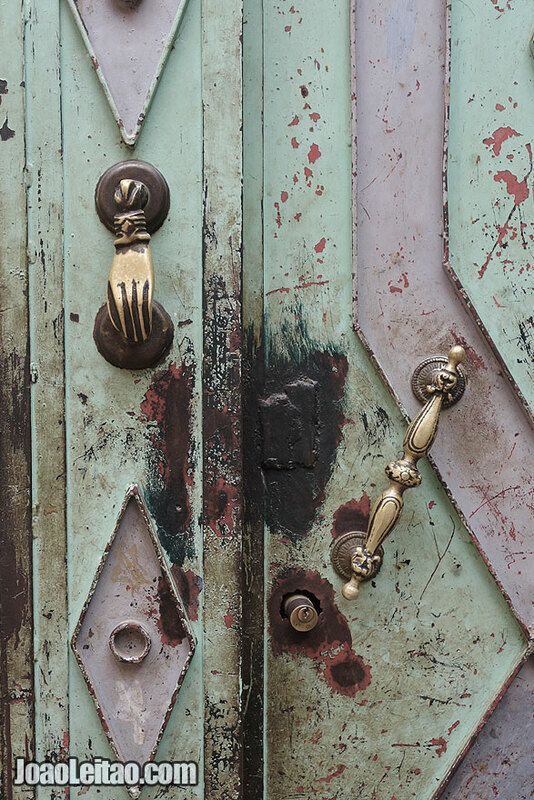 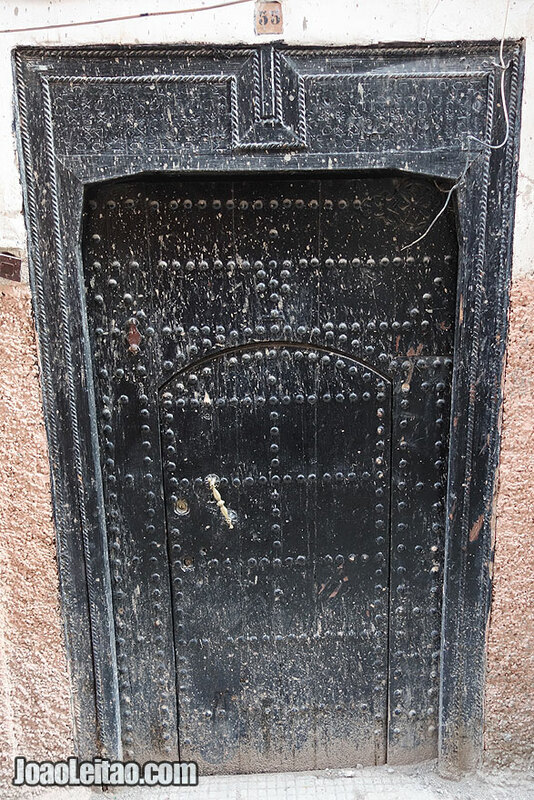 On this page you have a beautiful selection of doors and knobs of the old Medina of Marrakesh in Morocco.